The art of selling produce is taking up an increasing amount of time for suppliers. With new packaging, new styles of promoting produce, and variable trends being presented at great speed, growers and shippers have to be much more thoughtful in the way they run their business. "There is more pressure now to pay attention to the market," said Frank Mesa of Garcia Farms Produce, a sweet potato grower in California. "Marketing and selling are a big part of the business now. 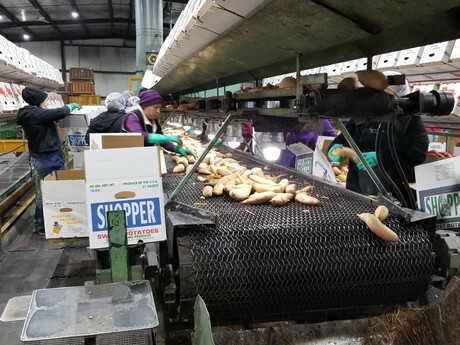 With sweet potatoes, there have been many changes in the last few years, such as the continued rise of organic as well as consumer preferences for different varieties. Not only do customer trends change, but they're changing more rapidly year to year and we always have to think ahead of the game. For example, we are now seeing sweet potatoes in microwave packaging becoming more popular. Then there are products like baby sweet potatoes becoming more visible." Mesa added that a long lead time is required for growers to enact many of the changes that come along in the industry, requiring careful forethought before investments are made. "It sometimes takes years to change the way we do things to accommodate shifting trends in the industry," he said. "It involves carefully thought out and sometimes risky investments in order to introduce things like new packaging, for example, that require additional equipment and even different product sizes and varieties." The demand for sweet potatoes has been steadily rising in recent years. This is partly due to its promotion as a healthy vegetable, as well as increased exposure on cooking shows. It also helps that they are available practically all year. One thing that varies is the varieties of sweet potatoes that are in demand. "At Garcia Farms Produce, we grow 4 main varieties," Mesa said. "These include the Covington, Red Diane, Bonita Sweets and the Oriental, or Murasaki. Although overall sweet potato demand has increased over the last 8 or so years, customers have recently been gravitating towards the Red varieties and the Bonita Sweets. The Oriental Murasaki has also been growing in popularity, with a constant steady movement on those. Sweet potatoes are available for almost all 12 months of the year. November, with the Thanksgiving Holiday, sees the highest amount of sales, with up to one third of our entire year's supply sold during that period." With the growing demand comes more growers and Mesa said that as a result, their net volume has not changed significantly in step with demand. "As the popularity of sweet potatoes has risen in recent years, so has the number of growers and acreage," he said. "So although the pie has gotten bigger, the number of players has also increased. Prices are okay, but have fallen slightly in real terms due to the increased supply, and we are now getting the same as we were about 3 years ago." Further to the microwaveable packs, Mesa said that Garcia Produce are planning to introduce pouch bags in their line up from next year. This adds to the existing packaging options the company has for wholesale and retail. "We have generally had 10lb, 8lb, 5lb and now 3lb packages," Mesa said. "The flagship is still bulk containers where people buy the majority of sweet potatoes. 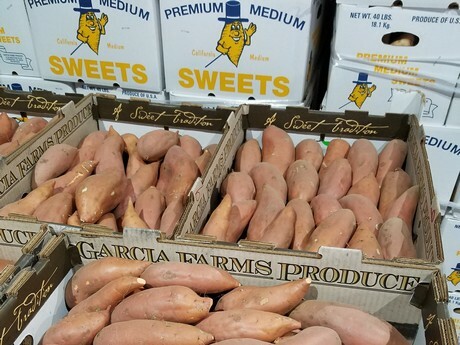 However, there is an increasing amount of produce in pouches and Garcia Produce are looking to also introduce these for our sweet potatoes from next year." 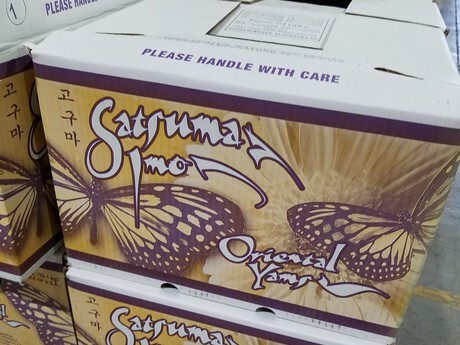 2019-04-24 "Large demand for early consumer potatoes"